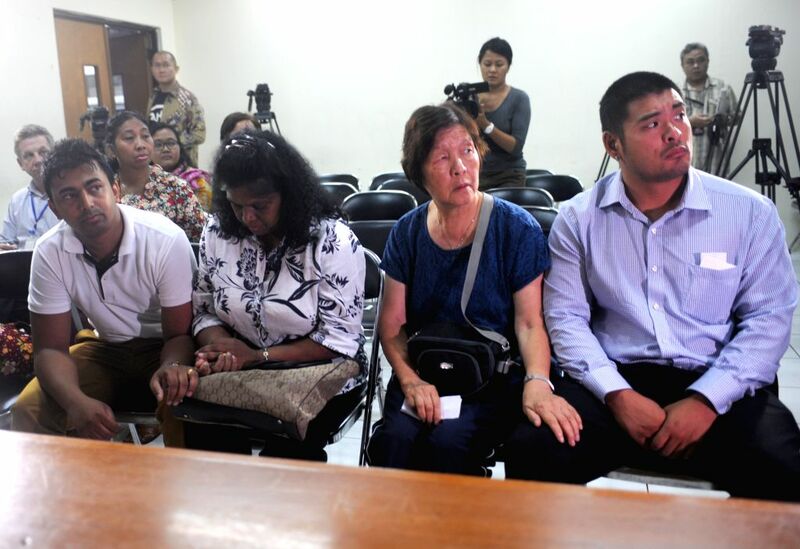 JAKARTA, Feb. 9, 2015 - Families of death-row prisoners Myuran Sukumaran and Andrew Chan arrive to Indonesian Human Rights Organisation (Komnas HAM) office to set forth the legal battle in a bid to save the lives of condemned Myuran Sukumaran and Andrew Chan in Jakarta, Indonesia, Feb. 9, 2015. Myuran Sukumaran and Andrew Chan are the only members of the so-called Bali Nine drug smuggling ring on death row for trying to smuggle 8.3 kilograms of heroin from the Indonesian resort island of Bali to Australia in 2005. They will face execution by firing squad as the Denpasar District Court rejected their requested case review on Feb. 4, 2015.